During read aloud, we have the opportunity to share the oral beauty of language, model comprehension processes by thinking aloud, and engage with our students through a variety of texts. 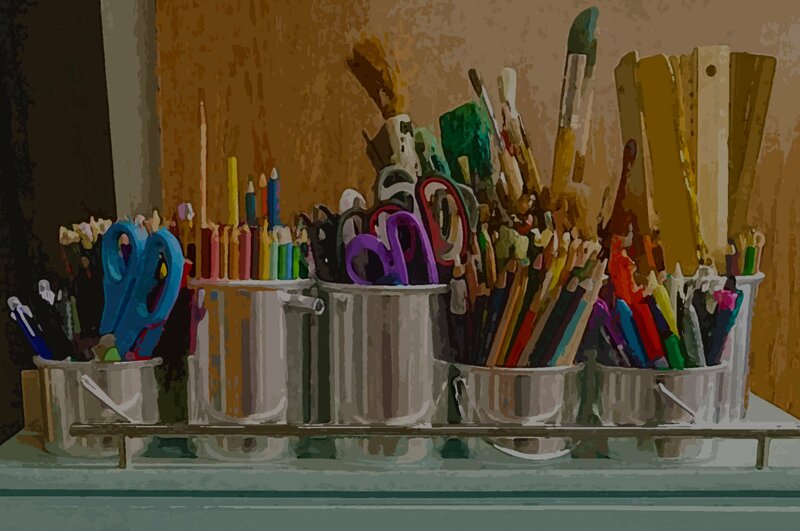 What are the possibilities for write-alouds? Write-alouds can help teachers to model—and students to practice—orally using the language we wish to put on the page. 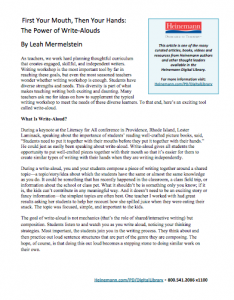 In her article, available for download below from the Heinemann Digital Library, author and literacy consultant Leah Mermelstein talks about the role of write-aloud in the classroom, where it might fit, and how this is different from shared or interactive writing. Leah notes that when we can “say it well, we can write it well”. After you read, try to find a time before your school year closes to give this a try. What parallels do you think you will experience between reading aloud and writing aloud? Off-Site: We have a variety of Multi-day Institutes this summer that are open for registration! Click here to learn more about rates and locations. Don't delay - Early Bird Rate deadlines are near! Author Bio: Leah Mermelstein is an internationally recognized literacy consultant who specializes in K-5 Reading and Writing Workshop. She is the President and CEO of Read-Write-Connect, INC. She is also the author of Reading/Writing Connections in the K-2 Classroom, (Allyn & Bacon), Don't Forget to Share (Heinemann) and the co-author of Launching the Writing Workshop (with Lucy Calkins) (Heinemann). She also blogs at bestwritingconsultant.com. Leah has worked as a literacy consultant for several years, first at Teachers College Reading and Writing Project with Lucy Calkins and now independently. She works with schools, districts, educational organizations, as well as universities to help teachers, coaches, and principals grow in their understanding of how to teach reading and writing to elementary students. While working with schools, she utilizes many methods of staff development such as demonstration, coaching, study groups, and institutes to name just a few. Her passions include week long summer institutes, keynote speeches, writing with teachers, as well as working collaboratively with districts and other organizations to pinpoint strengths and needs.